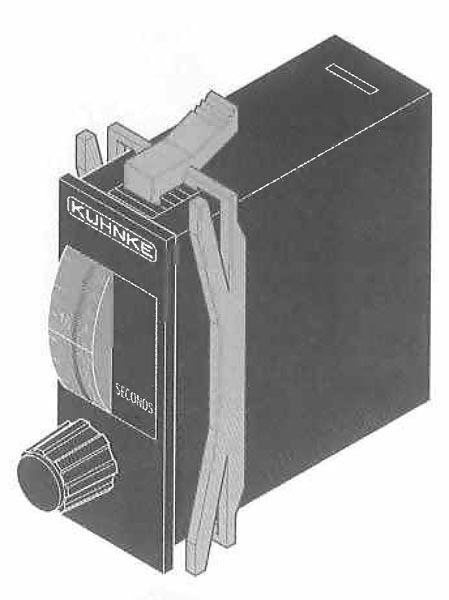 Kuhnke’s wide selection of Timers provide easy solutions for constructing pneumatic logic systems. 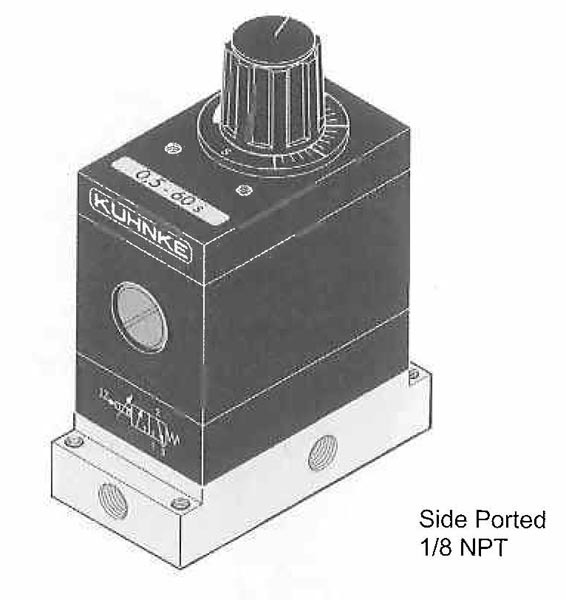 Five versions of pneumatic timers with ranges from .1 second to 100 hours with a variety of valve and mounting options provide the most complete product line available in the industry. Timers depending on design, are constructed of molded bodies usually with aluminum bases to provide sturdy fitting connection points. 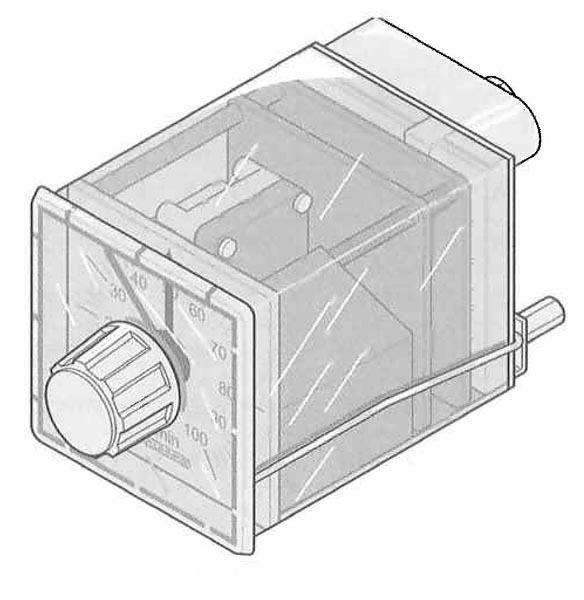 Timers are available in on delay or off delay versions and incorporate a 3 or 4 way output valve. 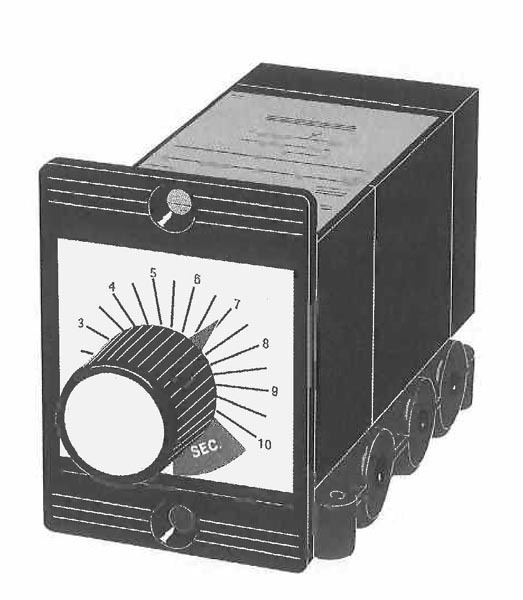 Typical timing circuits are included in the catalog section to assist in designing easy installations. 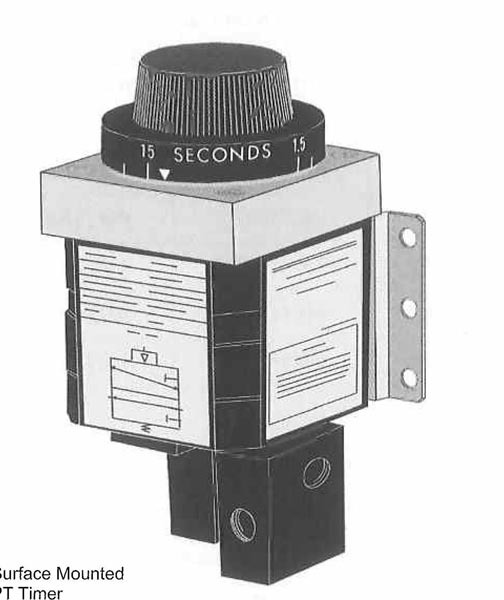 Pneumatic Timers are popular industrial components that are uses in fields where an electrical current is considered destructive and dangerous.